I sometimes run hot and cold about Nike Golf’s irons, but there is no doubt for me about the company’s wedges: They’ve consistently been among the best on the market. 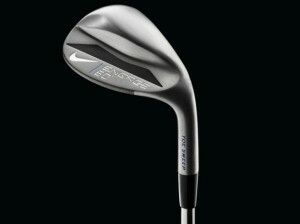 So it goes with Nike Golf’s new Engage wedges from company wedge guru Mike Taylor. The Engage wedges, already in the bag of Nike Golf staffer Rory McIlroy, are named for the three important interactions between the golf club and the turf, the club face and the golf ball and the connection between the athlete and his or her equipment. McIlroy debuted the wedges at this week’s Abu Dhabi HSBC Golf Championship – a Nike Engage 59-degree dual sole wedge. The Engage wedges (suggested retail price $119.99 each) will be on display at next week’s PGA Merchandise Show in Orlando and will be available at retail beginning April 17. To better engage the club, ball and athlete, Nike Golf says its engineers followed a similar design that is utilized in the Nike Vapor family of clubs – Modern Muscle, which the company says shifts the center of gravity to promote stability and consistent turf interaction in even the worst of playing conditions. McIlroy was one of the Nike athletes who tested the new wedge design and, according to Nike Golf, provided valuable feedback to Taylor and the Nike club team during the product development process. The Nike Engage wedges are available in three sole grinds: Dual Sole, Square Sole and Toe Sweep. 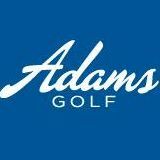 The Square Sole, Plumb said, was designed to be played with a squared-up club face while the Dual Sole offers two distinctive surfaces for a wide range of shots. The Dual Sole is inspired by grinds used by Tiger Woods and McIlroy. The second-generation Toe Sweep grind, according to Plumb, maintains its performance as the best wedge from the worst lie on the course while improving versatility on tight lies. The wide toe and narrow heel width allow the club to be laid open at address and stay open through impact in even the deepest of grass. The Nike Engage wedges are precision milled with X3X grooves, which Nike Golf says have more volume and sharper edges to deliver a more consistent shot in any condition as well as a more consistent ball flight. The precision milling process that makes the X3X grooves is offered for the first time with the Engage wedges.